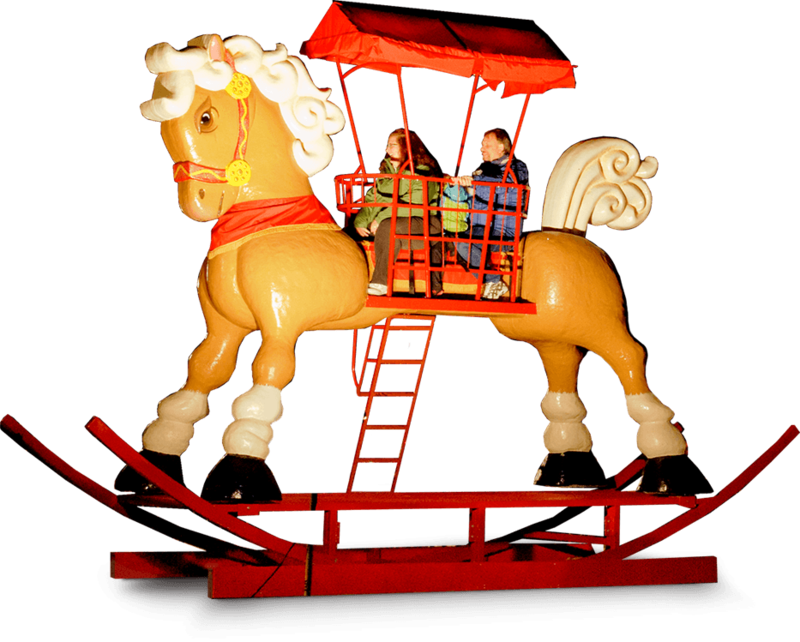 This giant attraction is a fully functional rocking horse that can accommodate 4 riders at a time. The rocking motion of this oversized beast guarantees to attract a crowd anywhere it goes and is a sure thrill for its unsuspecting passengers. It is intricately hand carved and is the envy of any carousel horse with its detailed swirls, shimmering paint and chiming bell sash. 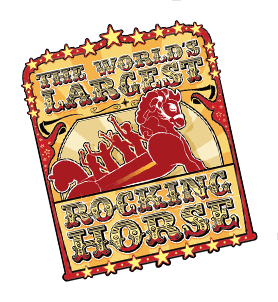 Standing at over 15 feet tall, 24 feet long and 8 feet wide, this horse guarantees a supersized response at any event. Not only is the World’s Largest Rocking Horse a ride, it is also a photo op that can be custom branded. Guests instantly receive a souvenir photo to share with friends of this one of a kind experience in a commemorative folder frame. The World’s Largest Rocking Horse appeals to the child in all of us and is perfect for that holiday event looking for added impact. 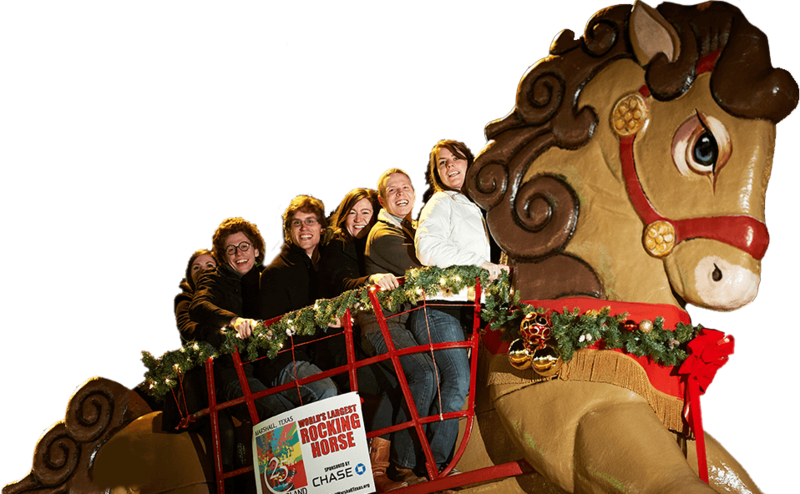 We adorn our horse with holly, garland and an oversized Santa hat to rock you into the holiday spirit. The World’s Largest Rocking Horse entertains a crowd when in use since it has a 360 degree viewing area and it is suitable for every kind of shopper since it is not age or religion specific. not only a ride or a holiday prop. but also a photo-op!